Advanced compassionate and professional health care for your cats. Dr. McLeod (pronounced Mc “Cloud”) earned her Doctorate in Veterinary Medicine from the University of Tennessee at Knoxville in 1996 and has practiced in the Triad since 1997. 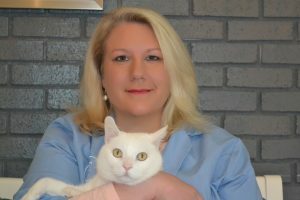 Dr. McLeod is a member of the American Veterinary Medial Association as well as a member of the Animal Association of Feline Practitioners. She volunteers with FFF, TGRR and FCAP. She also enjoys traveling, representing her heritage at Scottish festivals and spending time with family. Our team is committed to educating our clients in how to keep their pets healthy with good nutrition and exercise. We take the time to listen to our clients needs and understand their individual concerns and wishes. 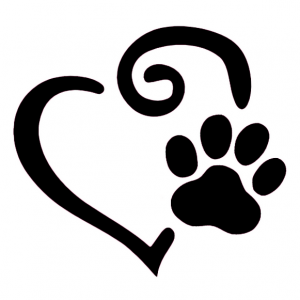 Cat Care Hospital recognizes that all pets need to be treated with loving care in every check-up, procedure or surgery. We treat each animal as if it were our own. Your time is precious and so is your cat. Help us prepare your file ahead of time by filling out forms online. Are your pets vaccinations up to date? You can email or fax papers to our staff or bring them with you. We are located at the intersection of West Gate City Blvd and High Point Road in Greensboro, North Carolina. We are right off Interstate 73 at the Gate City Blvd exit #100. (If using GPS, 5002 High Point Road should get you to our location. Loves coffee, crafts, Lipsense and, of course, cats! Has lived with felines since infancy and grew up working closely with parents both in the veterinary field. Tiffany has worked in the veterinary field since 2007 and is a dog and a cat lover. Her hobbies include hiking, traveling and spending time with her family and her animals. Interests include spending time with family and outdoor activities such as rock climbing and hiking. Has over 23 years experience working with cats! Has worked with cats for over 2 years. Loves to eat pizza and burgers. Interested in automotive repair in her spare time.